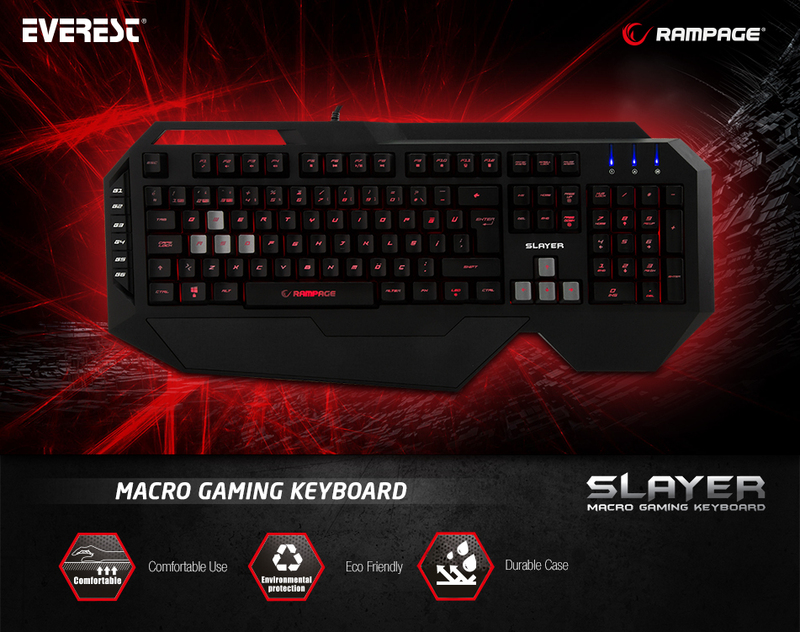 Everest Rampage SLAYER KB-R11 Black USB Key Lighting Macro Q Gaming Keyboard; Everest Rampage, which has accomplished many successful accessories in the computer world, do not neglect the players who have grown day by day. The company's name, SLAYER, has a very different look with 7 different LED lighting and designed with elegance that will appeal to you. Led lighting keys are laser-printed at night and in the dark, they can easily be seen. Through to the special software of SLAYER which has macro identification feature, you can select desired color tone from 16 million colors range and provide lighting with your chosen color. 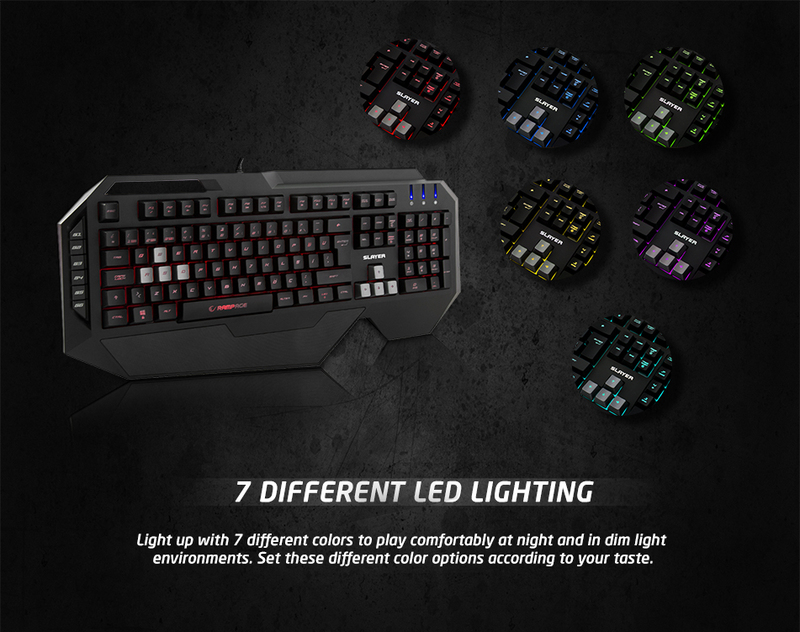 Everest Rampage SLAYER KB-R11 Black USB Key Lighting Macro Q Gaming Keyboard; 7 Different LED lighting options make it easy to play in the night and dim environments. You can increase and decrease the light intensity of the led lighting according to your wishes. Using the function key, you can easily select the color option that best suits you. Make appropriate applications and enjoy the use of the special software. 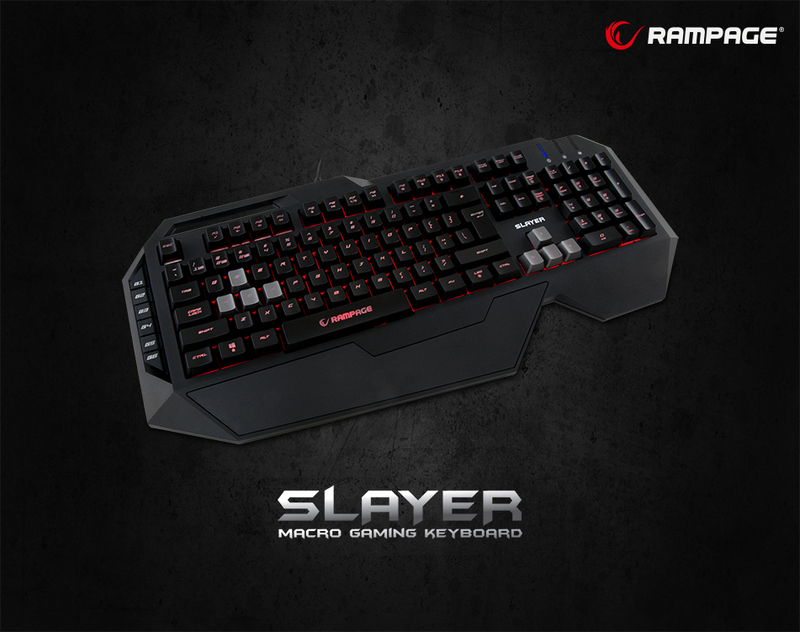 Everest Rampage SLAYER KB-R11 Black USB Key Lighting Macro Q Gaming Keyboard; Equipped with great features, SLAYER is a gaming keyboard that offers superior performance. Produced using a solid material, this gaming keyboard is one step ahead of its competitors with its durable construction and robustness! You can use many functional features with custom software, and you can optimize your keyboard for personal use. 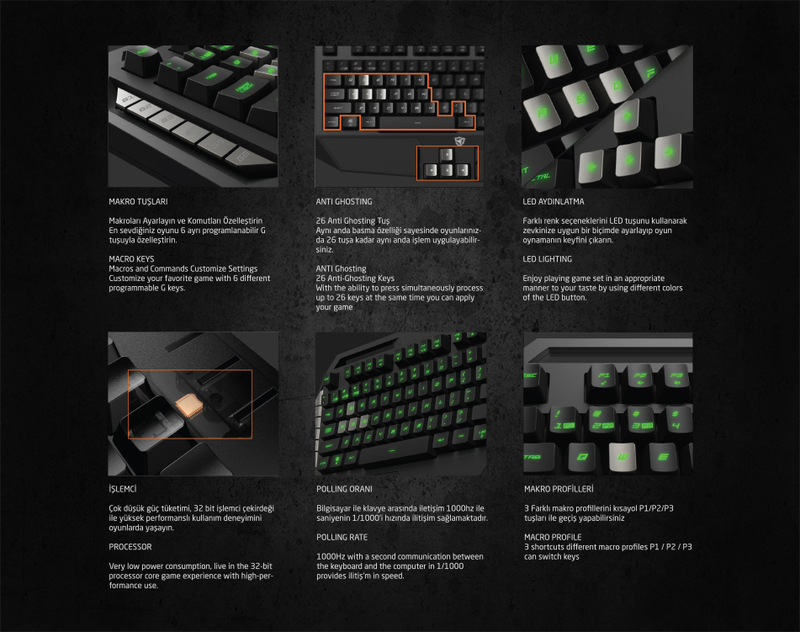 Everest Rampage SLAYER KB-R11 Black USB Key Lighting Macro Q Gaming Keyboard; Always start the games 1-0 ahead. Through to the Macro keys, you can take care of complex combinations with a single keystroke. 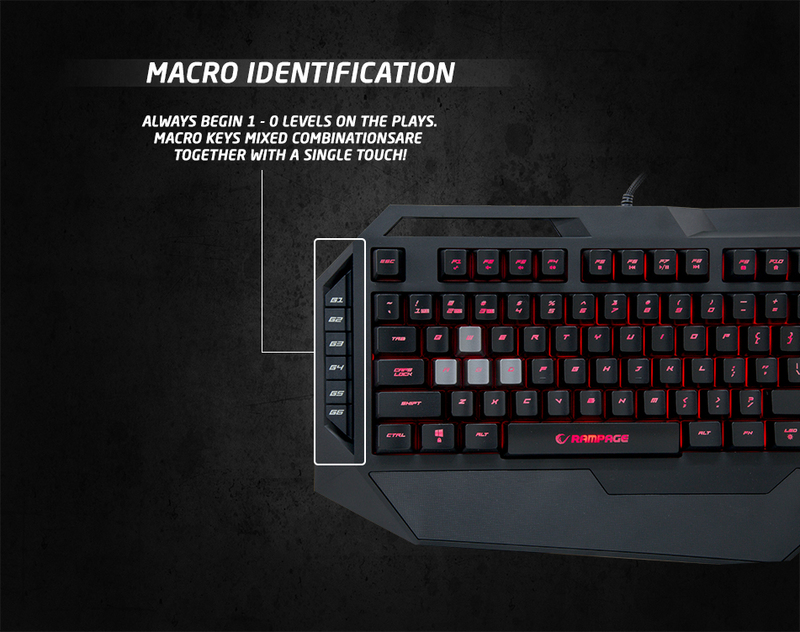 6 macro identification keys give you great advantages.